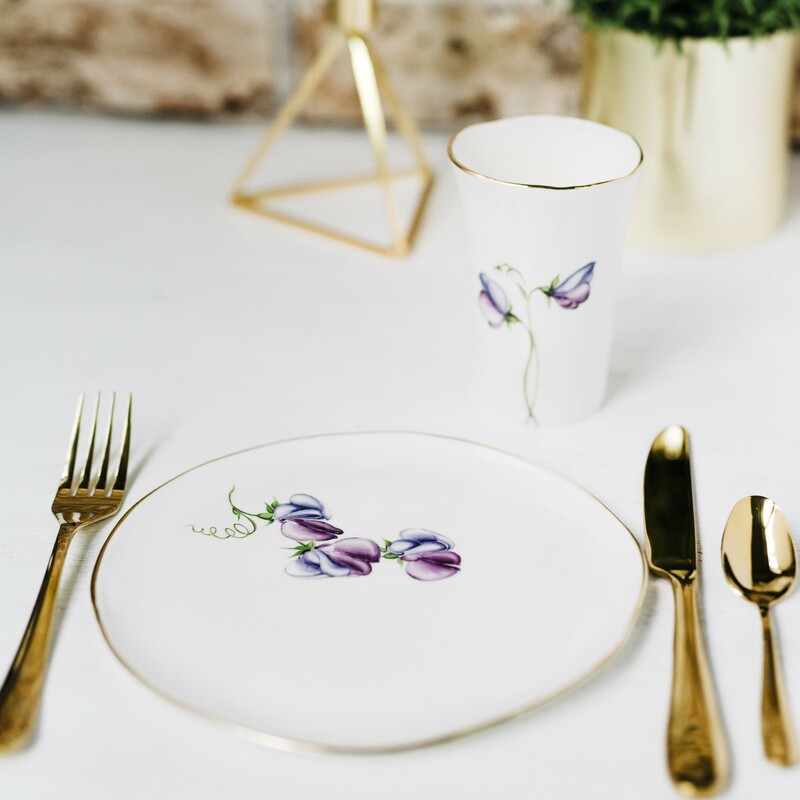 Bone China, glaze, onglaze porcelain colors and gold lustre. 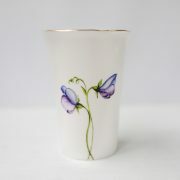 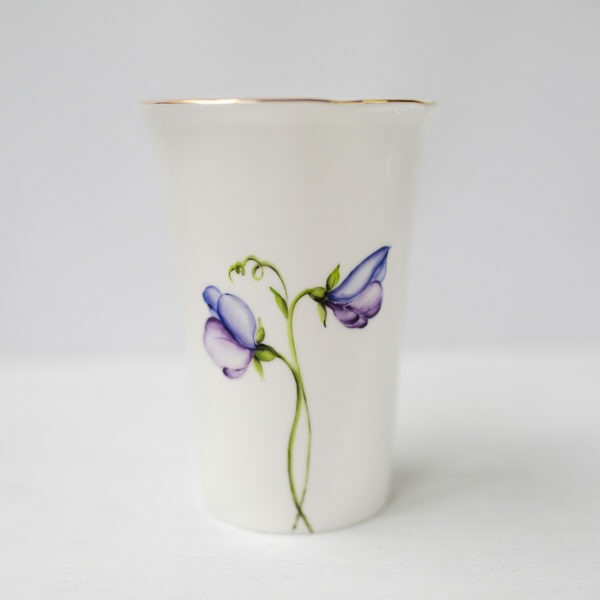 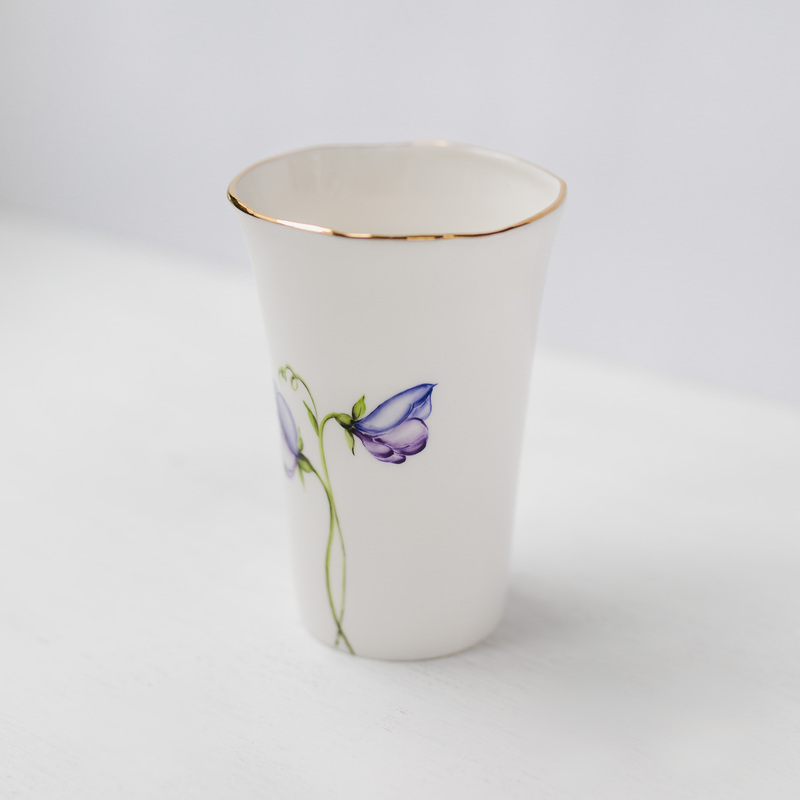 Slip casted Bone china beaker with hand painted Sweet Peas. 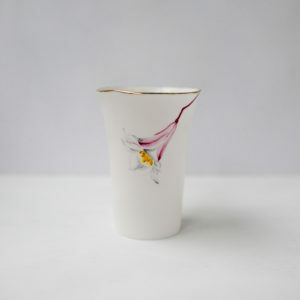 Beautiful, pure whiteness and translucency, which defines the material, and smooth, silky feel to the glaze on it. 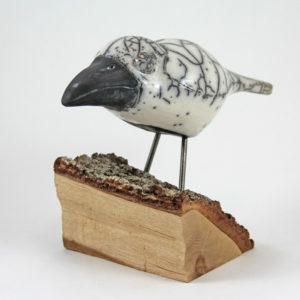 Each piece is 3 times fired. 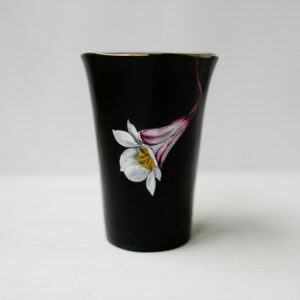 The raw piece, glaze and onglaze decoration. 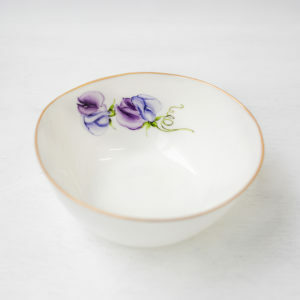 The motif painted with porcelain colour in 3 layers on top of each other using fine brushes; base, outlines, and shadows. 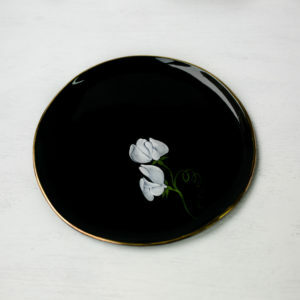 Gold lustre applied to the rim and fired again, where the porcelain colour sinks into the glaze, takes a shiny, glaze-like quality, and makes it permanent.